If you are thinking that the Marks & Spencer food reviews have stopped with the All butter biscuits for cheese, you are wrong, as I still have plenty of food items to show you. I was getting a bit bored with the pastry and cakes that I could get at the local bakeries, supermarkets, and department stores, as they don't come with something new very often. That's why I was really pleasantly surprised by all the sweets that I could find at the Marks & Spencer stores in The Hague and in Amsterdam. A whole new world opened up for me. Not only did they have the delicious chocolate bites in bins, they also have different kinds of cake rolls. 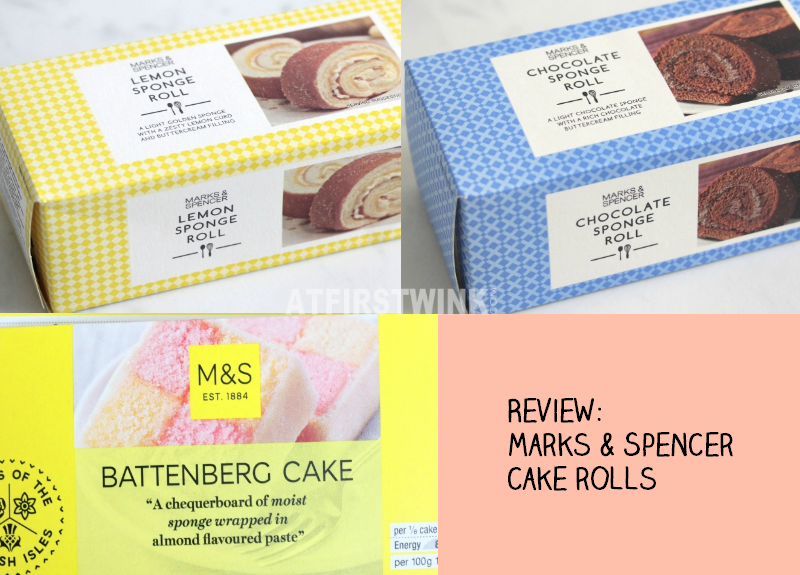 I bought the lemon sponge roll, the chocolate sponge roll, and the Battenberg cake. The sponge rolls also come in the flavors: strawberry, apricot, and cappuccino. I bought these two flavors, as I hoped that they wouldn't be too sweet and these also happen to be two of my favorite flavors, when it comes to sweets. The Battenberg cake just looked so cute that I didn't have to think twice before buying it. It is great that you get a whole roll, which you can slice in the thickness that you want yourself. 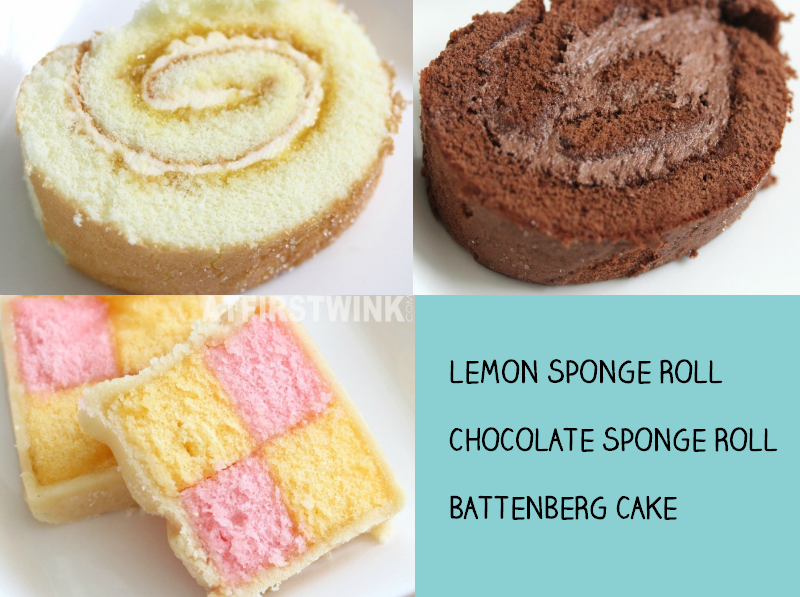 For me, the cake rolls were too sweet - especially the Battenberg cake -, so I prefer cutting it in thinner slices and have it with some tea. But when you want to make a Christmas dinner dessert with it, you may want thicker slices. The sponge rolls have crunchy sugar on the outside and plenty of soft buttercream in the center. The cake is reasonably soft, but somehow, I feel that they are a bit on the dry side. They are both a bit too sweet for me, but if I have to choose, I like the lemon sponge roll more as the lemon cuts through the sweetness a bit. The Battenberg cake was wrapped in a very sweet almond flavored paste and the blocks of cake were "glued" together with a sweet syrup. As I am not a big sweet tooth, I almost overdosed on sugar from that. It does look amazing on a plate though.